Q-Why choose a Deros Tour ? 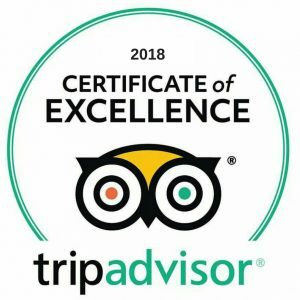 Deros Tours is a Family run business and have been in operation for over 50 years .Our focus is upon customer service,passion for local knowledge and top class vehicles and Drivers.We do offer free Wifi on the Ring of Kerry Tour.It is our aim to enhance the visitors sightseeing experience by providing added value. Q-Why choose a Deros Tour over driving ? By choosing a Deros Tour one can enjoy a carefree day by relaxing on our coach and letting the Driver take care of the roads and your needs for the day.Our touring routes are carefully designed to show you the key landmarks and attractions.Our local Driver Guides will entertain you with entertaining commentary which will explain the Irish history.geography and culture.There are some great photo opportunities and this will enable you an understanding and memories of the fantastic countryside in the Kerry region. Q- What is included in the price of the tours ? We include transport and the services of our specially trained and top class Driver/Guide on our of our luxury touring minicoaches and full sized coaches.Frequent stops will be made at places of interest.Lunch is not included. Q-Where does the tours depart from and what is the time involved ? Tours depart from our office at 22 Main Street,Killarney at 10.30am and return at 5pm with the exception of the Gap of Dunloe returning at 4pm approx.Please be here no later than 10.15am. The cost for the Priority Seats are 8 Euro pp. The advantage of the priority seating are that clients are off the coach firts at various stops and some clients like to be in the front of the coach to engage more with the Driver. Q-Is there Wifi on the coach ? We do provide free Wifi on the Ring of Kerry Tour.Wifi is available but coverage can be intermittent. Password is open. If there is coveragethere is Wifi but if there is no coverage there is no Wifi. Free Wifi is also available at many stops. Q-Can one be collected at accommodation on the morning of the tour ? Yes we have a free shuttle bus that will collect within a two mile radius of our office between 9.45am and 10.10am – prior notice must be given.There is a surcharge for this service when booking on line. Q-Where are the stops on the tour ? Ring of Kerry -There are several stops on the tour for photos – among the stops are The Bog Village,Sheep Dog Trial at Kells Bay (this stop is seasonal)Dingle Bay,Commakista,Castlecove,Sneem,Ladies View and many more places of interest.Dingle Tour- Like the Ring there are several stops on the tour for photos – among the stops are Inch Beach,Dingle Town,Slea Head and picturesque stops on the Peninsula. Q-What time does the tour return ? We aim to be back in Killarney by 5.15pm approx the latest which will be of convience to customers returning to other parts of Ireland on the evening trains and buses.We cannot accept responsibility for late arrivals to Killarney due to traffic or road divertions.From November to March we do end the tours between 4pm and 4.30pm approx. Q-Is there a stop for Lunch and is it included ? Ring of Kerry -Yes in the Waterville area-45 minutes approx.Dingle Tour – The stop for Lunch is in the town of Dingle-45 minutes approx.Lunch is not included on any of the tours. Q-Will there be time off the vehicle ? When we plan our tours we strive to get a balance between free time and travelling time.As a guide you will not be travelling for much more than two hours without a break on any tour. Q – Are there washrooms on the coach ? Sorry no as due to the windy roads the addition of wash rooms on the coaches have proven too dangerous.There are several stops for washrooms. Q – What will the vehicles be like ? The type of vehicle employed on our tours varies depending on the number of passengers travelling on a particular departure. Generally tours are operated by 16 or 19 seat minibuses and 29 & 49 seater luxury coaches.All vehicles are modern and specially built for comfortable touring. All vehicles have either forced-air ventilation or air-conditioning plus large panoramic windows to ensure the very best views. ABS, secondary breaking systems and a host of other safety features will ensure a safe trip. Q-Is the tour seasonal or all year ? The Ring of Kerry operates 364 days a year with the exception of Christmas and New Year’s Day. The Dingle and Gap of Dunloe usually operate from mid March to mid October. Q-Can we get Group Discount ? Yes but you need to contact this office directly. Q-How many people will I be traveling with ? The size of the vehicle vary from 16 seater minibuses to top of the range – current year model of 49 seater coach.We can also arrange private tours with top class Driver/Guides from Mercedes Saloon,6 Seaters,12 Seaters,16 Seaters and 23 Seaters.Please contact this office directly. Q-Do you offer any other languages ? Q -What’s the best way to experience the Ring of Kerry or Dingle Peninsula? The Ring of Kerry and Dingle Peninsula, one of the world’s natural wonders, is best experienced in the comfort and company of experienced local guides, using luxury coaches. This way, you’ll get to see all of the highlights as well as some of the off-the-beaten track attractions that only local knowledge will supply both coach tours provided by Deros tours in Killarney. Simply the best. Q-How can we book ? Q-Can we be collected at Bus/Rail on morning for the tour ? Certainly – we provide a free pick up from 10am onwards at Bus & Rail Stations.Prior notice must be given.Pick up at Bus Station is under the Clock by the main road and from the Ticket Office at the Railway Station.Our collection includes the train arriving at 10.15am daily. Q- Where does the tour end ? On returning to Killarney the tour will end in Killarney Town-Rail-Bus Station and the accommodations were passengers were collected from at the start of the tour. Q-Where can I park ? We can provide a free car park but parking is on a first come first service basis.There are several car parks in Killarney which was secure and a very short walk from our office on 22 Main Street,Killarney. Q – Is there accommodation included on your Two Day Tour-Ring of Kerry & Dingle ? There is no accommodation included as both there tours depart from Killarney on two consective days.Both tours depart from our office at 22 Main Street,Killarney at 10.30am and returns to Killarney at 5pm approx. Q-Are there any admissions included ? No there are no admission charges on any tours.Students rates also available – contact the Driver. Q-How can I pay for my tour ? We do need your credit card to reserve seats and at the office you can pay cash.We do also accept credit cards.We are also accepting Paypal for 2015. Q-How do I get a brochure ? Please visit our web site at www.derostours.com to retrieve an ebrochure on all the tours.If you would like a brochure to be sent to you,please contact us to make a request. Q-Is it possible to organise a private tour ? Q-What is your child policy ? Children aged 0-4 years inclusively may travel free of charge once a seat is not occupied.To qualify for child tickets,children must be aged between 5-10 years inclusively. If we just knew! It may surprise you to know that we have a very temperate climate in Ireland. The geography of Ireland means that it does rain more frequently in the west of the country and there are stronger winds in the east. If it does rain on your tour we will not be too concerned and neither should you be, we need it for our flora and fauna. Q-Can I bring luggage on the coach ? By all means please bring your luggage as there is plenty of room in the luggage lockers. Q- Are Tours cancelled ? From November to February we do need a minimum of 8 passengers to operate the tours.Please email this office to reconfirm that the tours will operate. Q – What is your cancellation policy ? If tours are cancelled within 48 hours there is no cancellation charges.Within 36-24 hours a charge of 50% will apply.Within 23 hours a charge of 75% will apply.In the event of a no show 100% will be charged. Q- DOES YOUR TOUR FEE INCLUDES TIPS? In Ireland tips are not mandatory if you are satisfied of our services it will be nice to leave a 10-15% tip.A gratuity for good service is always appreciated. Please email on info@derostours.com or call us to ask a question. We do our very best to answer your query as soon as possible. The Ring of Kerry, one of the world’s natural wonders, is best experienced in the comfort and company of experienced local guides, using luxury coaches. This way, you’ll get to see all of the highlights as well as some of the off-the-beaten track attractions that only local knowledge will supply. Ring of Kerry coach tours, provided by Deros tours in Killarney. Simply the best.